Have you ever thought that your success was just down to luck? Or down to the fact that you knew the right people? Perhaps you even worry that you’re about to be found out. I hear thoughts like this come from some of my clients and when we dig deeper invariably we come across some form of imposter syndrome. They feel like they are a fraud! Last month, I conducted an interview and discussion with forty female business owners on the topic of Imposter Syndrome. It was a full house and we started with by checking off some of the beliefs that we hold that can be symptoms of imposter syndrome. It was stunning to see how many of these brilliant women felt that they were somehow a fake and that the compliments they received from others were people just being nice! The Psychology of Entrepreneurship report published by Barclays in 2016 showed that while small businesses run by women averaged higher pre-tax profits, only 42% of female owners describe their business as prospering, compared to 62% of males. This is all part of the imposter syndrome that says Don’t brag. Don’t show off. Don’t make anyone feel uncomfortable with your success as they might just knock you down to size! So how do you identify that you suffer from imposter syndrome? Here is a list of some of the most common beliefs that people suffering from imposter syndrome hold. I’m a fake and I’m going to be found out soon. I lucked out this time. If more than one of these resonates with you and is a message that you frequently tell yourself, then it is possible that you are a sufferer and you are not alone. Many celebrities and other high achievers have talked about how it impacts them. Here are some statements that will further help you decide whether imposter syndrome impacts you. Go through each statement and mark off on your fingers or a piece of paper Yes or No as to whether you believe the statement to be true. I’m afraid people important to me may find out that I am not as capable as they think I am? It is hard for me to accept compliments or praise my IQ or accomplishments. My present success is because I happened to be in the right place at the right time or know the right people. 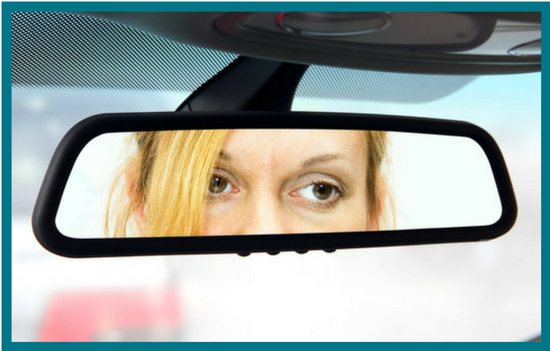 If you have now identified yourself as someone who needs to work on eliminating imposter syndrome the here are my top tips to get you going. 5 Top Tips to eliminate Imposter Syndrome. Talk about it. Imposter syndrome loves secrecy and if you say what you are thinking out loud it will allow you to see if what you’re saying is true. It also gives other people the opportunity to input their view. Be a detective. Dig deep into your past and ask yourself ‘Where does this belief come from?’. Is it possible that it comes from someone in the past who has said this to you? Maybe it was true then but is not now? Maybe it was never true just the other person’s view? Look for counter-evidence. Prove that it is not true! One idea is to have a file or folder where you collect all the praise and positive feedback you receive. The when your imposter syndrome appears you can reassure yourself. Remember being wrong does not make you a fake. You can not be right all the time and neither can everything you do be successful. Athletes and sports people quickly come to realise that if they can’t overcome failure they will never get back up and keep going. You might also need to develop a thicker skin to failure. Look at the way you communicate. Women in particular need to focus on their communication. Often we are the ones who deal away our power and need to replace our doubtful expressions with more confident assertive language. To finish, I want to cover 5 truths that you will find as you shine the light on your imposter syndrome. You’re not alone. Up to 70% of people will experience imposter syndrome at some stage in their lives. It doesn’t just affect women. Feeling like this can impact both men and women. It can affect anyone. There has been a myth that only high achievers are likely to feel like but this is untrue. Imposter syndrome does not discriminate. It’s an illusion. It is not real, it is a set of warped ideas that are holding you back. You can overcome it. Oh yes, you can! I hope that you now feel more informed and that this has helped boost your confidence. 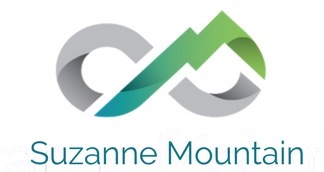 If you want to work on dealing with your imposter syndrome or building a more assertive confident communication style, then get in touch via email suzanne@suzannemountain.com to find out how I might to help you. Great advice. I needed to hear a lot of this today! Thanks for posting! Very relatable post. Thanks for opening up the conversation and your helpful tips. Thanks for taking the time to read, Marie. It is an important subject as so many people suffer alone.